Last Sunday we were a little short on time, but still wanted to get a nature fix. So we headed to the Nashua River, only about 5 or 6 miles from home. It's amazing how much wildlife can be seen here, so close to the center of town. When we arrived at the launch, it was a little disheartening to find some type of invasive plant species had taken over about 30 to 40 percent of the water. We had never seen it quite it like this before. I don't know if it was millfoil or water chestnuts or some other plant, but eventually we made our way to clear water and still enjoyed our time on this beautiful river. There was more boat traffic than we had seen in the past -- everything from canoes to kayaks to powerboats -- but for the most part, everyone was respectful of their fellow boaters. You can always count on seeing and hearing a lively bird population on the river. On this trip, we saw red-wing blackbirds, a great blue heron and many other smaller birds. On past excursions, we've seen owls, osprey, and swans, to name a few. Other than birds, the most common critter you will see on the river are turtles -- lots of turtles. One of the countless smaller turtles. Most impressive of all on this trip were the snapping turtles. One of them was HUGE. It had a shell much larger than a dinner plate. 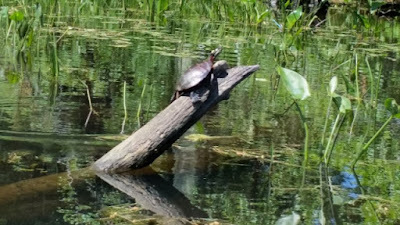 I think I startled one of the snappers (and it spooked me) when I was in shallow water and probably paddled right over it. Woops! There always something new and interesting to discover on the Nashua. You can read about two mini-adventures we had during a trip here a few years back in this earlier post. 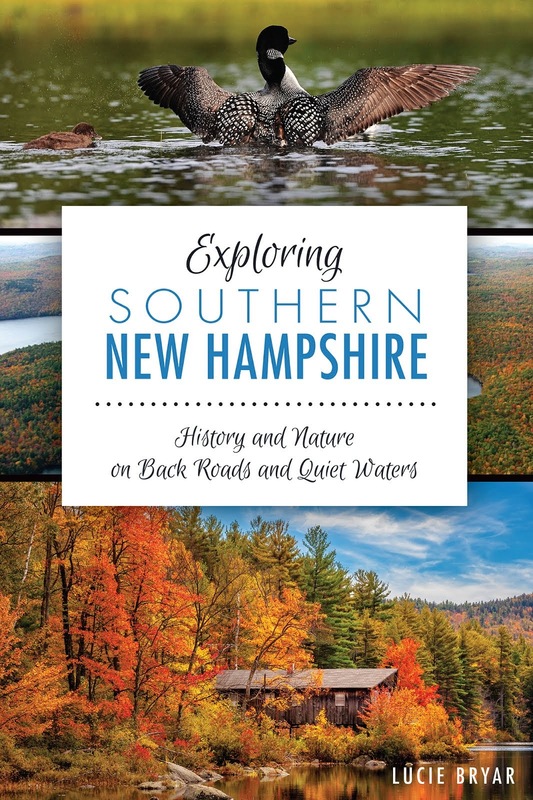 There's also a chapter in my book about the amazing conservation history of this river. It's hard to believe when you are out on the water today that at one time the Nashua River was "biologically dead" and was named one of the top ten dirtiest rivers in the country. The clean-up of the river was largely the work of one determined woman named Marion Stoddart -- whose work was so remarkable that she was honored by the United Nations. 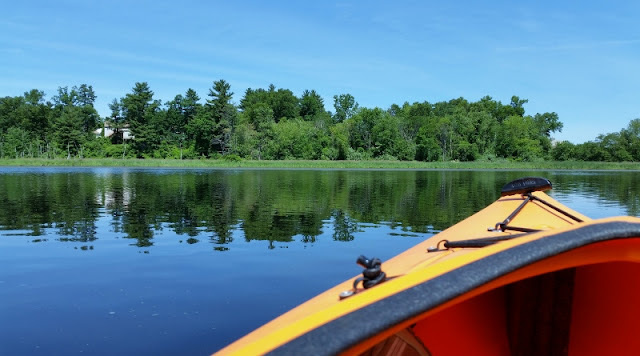 If you're interested in exploring the Nashua River from a different angle, consider checking out Nashoba Paddlers in West Groton, MA. They rent canoes, kayaks and SUPs and offer some great tours. For now, I'll leave you to discover the rest of this "hidden" gem on your own. If you get out there, please write in and let us know what you found. Happy paddling! Directions: From Riverside Drive in Nashua, take your first left and head toward Stellos Stadium. Bear left and then right to a dirt road near the Public Works Garage and the boat launch.